Only tangentially relevant, but I couldn’t resist the photo. Alice Herz-Sommers, who died today. This is, I’m sure, between Gravity and 12 Years A Slave, and I think the latter will win because being accidentally turned into a slave in real life beats losing a fictional daughter in the heartstring-tugging stakes. Cate Blanchett has this nailed on, I think. This is a really strong category. I’d be happy with a win for Abdi or Cooper, but Jared Leto‘s turn as Rayon in DBC is a career-best piece of loveliness and I hope he takes it. I would also like to point out that had Behind The Candelabra been eligible for Oscar nominations, Matt Damon and Rob Lowe would both have deserved nods in this category, as would Michael Douglas in Leading Actor. I didn’t love J-Law in American Hustle. Or maybe I mean I didn’t love her as much as I love her in Silver Linings Notebook or Real Life™ – but she will win this regardless. From the buzz it’s generated among under-eights of my acquaintance, I’m saying Frozen. I can’t imagine a world in which this won’t go to Gravity. It should be nominated for hair and makeup but since it isn’t, I think American Hustle will take this one instead. Cuarón will lose out on Best Picture but I think he’ll pip McQueen to the winning post in this category. I will admit to not having had the guts to watch The Act Of Killing when I had the opportunity, but everything I’ve heard and read about it makes me think it has to win out here. How far ahead of the ceremony does voting happen? 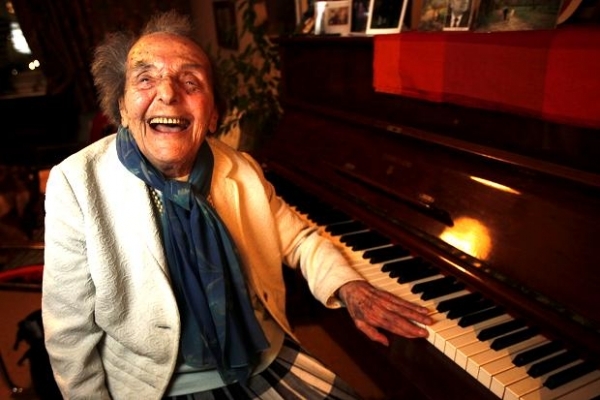 Only the cynic in me wants to say that since Alice Herz-Sommer, the 110-year-old holocaust survivor who is the subject of The Lady In Number 6, has just died, the already-good chances that it would win have just improved. Gravity is so sparse and elegant and beautiful that again, I can’t imagine it not winning here. Right, so, uh, I was going to predict a win for Blue Is The Warmest Colour but I’ve just noticed it hasn’t been nominated. So in the absence of any other information I will employ my traditional method of closing my eyes and stabbing at the screen, which gives me The Broken Circle Breakdown. You heard it here first. I’ve only seen one of these, but Jared Leto is so breathtakingly beautiful in Dallas Buyers Club that I hope it wins. Mainly, though, I just hope Jackass doesn’t. There is a time and a place for Jackass, and the Oscars ain’t it. The rules are, when someone you know is nominated you have to say them. Now, nobody I know is nominated in this category, but someone I know knows someone who is, and so I’m going for Gravity (which also has a really good score). Yeah, I haven’t heard any of these. Also, when was Tangled? There’s a good song in that. Let’s say Frozen. Well actually this should definitely go to The Great Gatsby, but I think Gravity will win. Cough. Well, Get A Horse! has the best name, right? I wonder whether you tick a box or have to write in your answers, when you vote? Because nobody’s going to take the time to write out Pitääkö Mun Kaikki Hoitaa? by hand if they don’t have to. But it’s bound to be checkboxes, isn’t it? So let’s go with that. One day, when I grow up, I will be a person who watches the short films ahead of the Oscars (or even afterwards). I think Gravity will take both of these. I can’t remember whether the argument over possible or desirable punctuation in the name of the latest Star Trek movie came to a conclusion, so I’m leaving it out rather than get it wrong and risk the wrath of…well, you know. Obviously this will also go to Gravity. Before Midnight is an adaptation? Who knew? Well, the Academy, it would appear. I’m racing through these last few categories not because I want to go to bed, although I do, but because I think there’s barely any debate to be had about most of them. 12 Years A Slave will win this. Whether he did or whether he didn’t, Woody will take this for Blue Jasmine, although I would give it to Dallas Buyers Club. But for some reason, nobody asked me. I know! I think Before Midnight counts as an adaptation because it’s a sequel, which is mental but I don’t make the rules. I agree with your pick of Cate Blanchett – it was an amazing performance. I was impressed by Amy Adams in American Hustle, but her performance wasn’t as consistently good as Cate’s was in Blue Jasmine. As for Brad Cooper, for me that was the only performance of the American Hustle ensemble that didn’t work for me. I thought he let down the side, but that seems to be an unpopular opinion. As for Foreign Language Film, I watched The Great Beauty tonight, and I’m enthralled – I really loved it! See, Bradley Cooper doing an impression of Louis CK is up there with J-Law singing Live And Let Die in my very favourite bits of American Hustle. But then, I’m the person who liked I Heart Huckabees. Yeah. Before Midnight is ‘adapted’ because it features characters from other films. Sorry, but Room on the Broom gets my vote for animated short! Well, since I have seen none of them, I expect you’re likelier to be right than I am. That Adapted Screenplay rule is crazy! I wonder how far it extends? Like, would Blancanieves be adapted because there is already a film of Snow White?